One of our most treasured childhood characters has once again teamed up with your favorite casual sneaker brand to bring you the cutest damn sneakers you've seen. 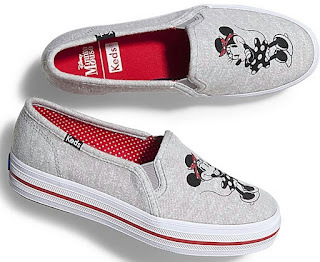 We love them all but we're especially enamored with these Keds X Minnie Mouse Triple Decker Sneakers. 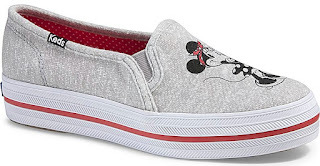 Inspired by one their favorite leading ladies, these adorable thick soled sneakers feature the iconic Minnie Mouse perfectly posed on the vamp of this slip on style sneaker, available in a Chambray or Jersey upper, and a 1" platform for added height. Both colors are available now for $59.95 each on www.keds.com.